Mr Willy Wonka, the most wondrous inventor in the world, opens his gates of his amazing chocolate factory to five lucky children.Gobstoppers, wriggle sweets and a river of melted chocolate delight await - Charlie needs just one Golden Ticket and these delicious treats could all be his! The Charlie and the Chocolate Factory Pop-Up Book brings Charlie's adventure to life! There are over 10 detailed and colorful pop-ups that help kids of all ages interact with the story. 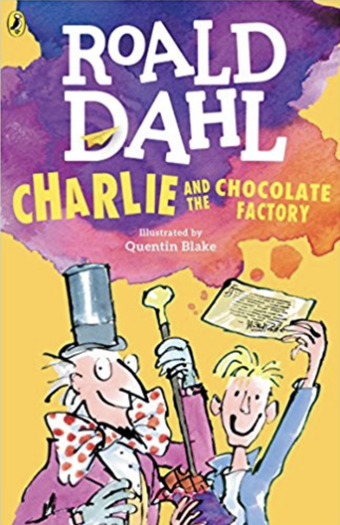 Charlie and the Chocolate Factory is a classic book written by the late Roald Dahl. 'The ultimate children's story, ever' - David Walliams.